We at Mussell Crane Manufacturing have many affiliations with reputable organizations and associations. Please take a moment and visit them below. 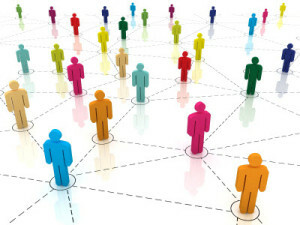 The Chilliwack Chamber of Commerce is a vital connection between business and local, provincial and federal government. The OHS Regulation contains legal requirements that must be met by all workplaces under the inspectional jurisdiction of WorkSafeBC. As part of the Greater Vancouver/Lower Mainland Economic Region, Chilliwack enjoys some of the same benefits as Vancouver: Canada’s low cost dollar, proximity to major markets (the Pacific Rim), and easy access to the United States. 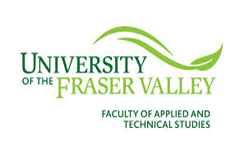 Located in the beautiful Fraser Valley just east of Vancouver, British Columbia, Canada, the University of the Fraser Valley (UFV) is a fully accredited, public university that enrolls approximately 15,000 students per year. Is an industry supported private sector not for profit organization providing welder certification, management systems registration and training services. The American Welding Society (AWS) is a nonprofit organization with a global mission to advance the science, technology and application of welding. Duct-O-Wire products are distributed by crane manufacturers, crane service companies, cable and electrical wholesalers and contractors throughout North America and the world. From gear motors, drive electronics, control and software to individual drive solutions. STAHL CraneSystems offers the most comprehensive range of hoist technology and crane components. Columbus McKinnon is a leading worldwide designer, manufacturer, and marketer of material handling systems and services. Product range includes various electric wire rope(cable) hoists, electric chain hoists, cranes, geared motors and other crane kits. CMAA is the Crane Manufacturers Association of America, Inc., an independent trade association affiliated with the Material Handling Industry. BCCDA is recognized as a global leader in supporting competent and ethical Career Development Practitioners and advocates for the profession in order that the highest quality of service is provided.